Do you know that the film making courses in India can actually pave your way to almost 10 great career choices? If you are passionate about films, have been watching films since a tender age and are a fan of motion pictures, you can surely enroll into a course that will let you choose your favorite job from a range of choices. 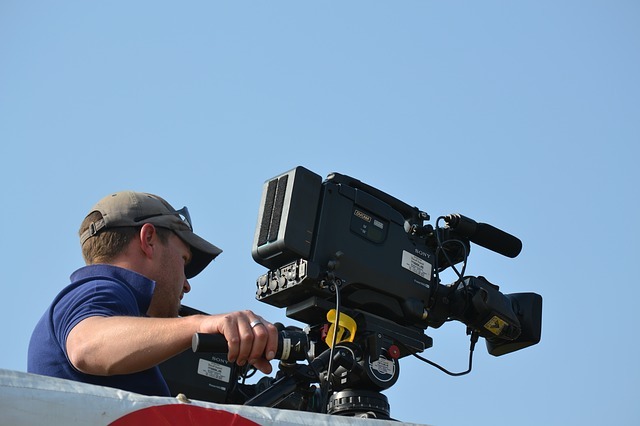 A degree in media course from iLEAD also gives you a taste of all the details of film making and allows you to choose your own preferable career path. You get hands-on experience in film making, work on practical assignments in various departments and understand the intricacies of each. Here are some of the career options that you may get to select from after completing graduation in film making or media science. The production department includes a number of jobs as per work profiles. From executive producer to line producer, production manager and production coordinator – There are more than enough posts in the production department. Director is like the captain of a ship. He is the man head who gives a vision and shape to a film. And then there are assistant directors who help the director in the entire production process. From setting up a scene to scheduling, they do it all. They say, on the table of editing, a film is remade again after shooting. Editing is an integral part of film making and if you think you are good in making content crisp and to the point, this is your field. DOP or Director of Photography’s lens provides us the visuals that we see and often marvel at. From television to cinema, direction of photography is the key to a film’s visuals. In the lighting department, there are gaffers and grips, responsible for designing the lighting plan and work closely with the DOP for managing the electrical and technical aspect of lighting. They set the mood and effect of a scene on the screen. Working closely with the team of screenwriters and directors, cinematographers work both in production as well as post-production stage as per requirement. A good frame always comes up with great cinematography and if you are interested in a career in cinematography then you must take a look at the various cinematography courses available in India. In the sound department, there are sound designers, sound editors, re-recording mixers, Foley artists and more who are responsible for creating unforgettable audio experiences. They are the storytellers who are responsible for presenting a script to the director with all sorts of instructions including the camera angles and locations. They come up with unique ideas and make the storytelling process exciting. If you are good in amalgamating your imagination with technology, animation is your field. There are many animation and multimedia courses that train you with practical assignments and expose you to experiences that shape up a great animator within you. Are you inspired by many great actors around the world and aspire to become an actor? Well, acting is an art of expression. If you feel you can express yourself profoundly on screen, then film making courses in India or acting workshops can also help you in the same. You can also become a film critic, if you are passionate about penning down your thoughts after watching movies. Good with words? Have an inclination towards communication? You love the way Rajeev Masand or Taran Adarsh talk or host? Then the job of a critic may just attract you like no other.